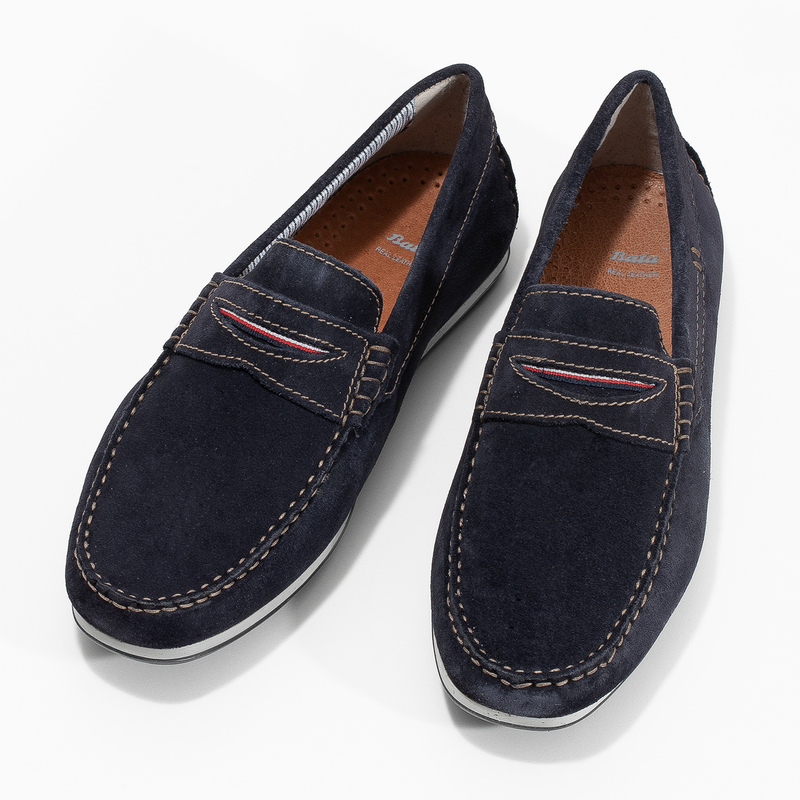 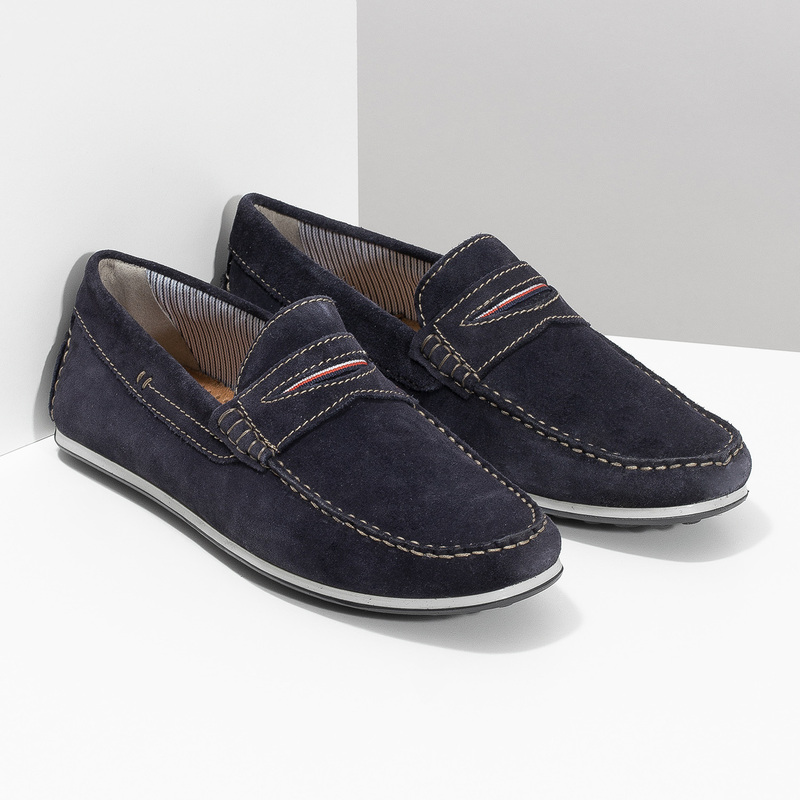 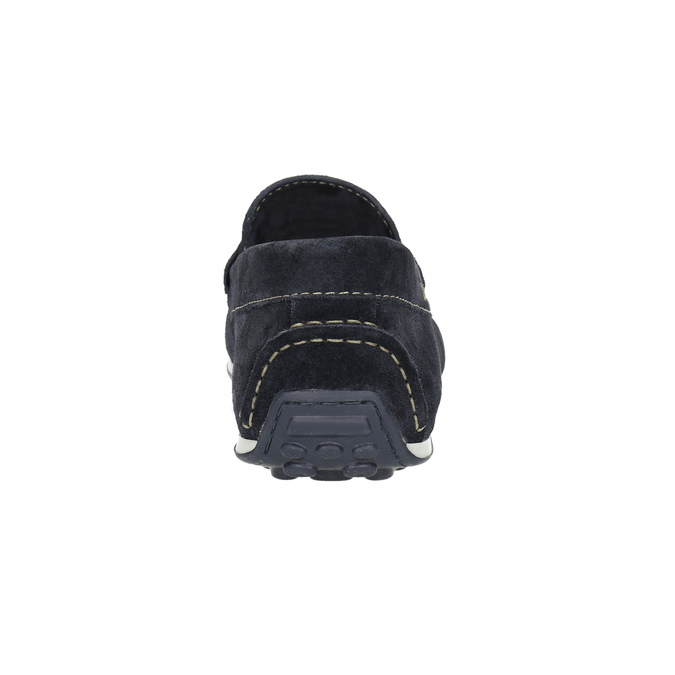 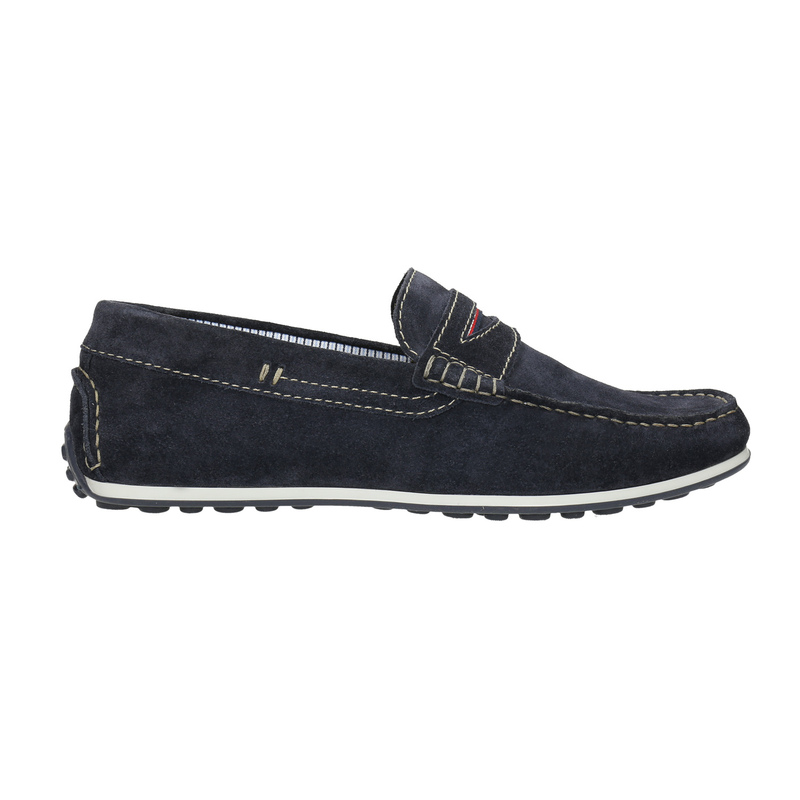 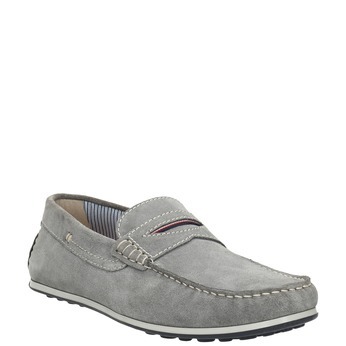 These men’s moccasins have a dark-blue brushed leather upper. 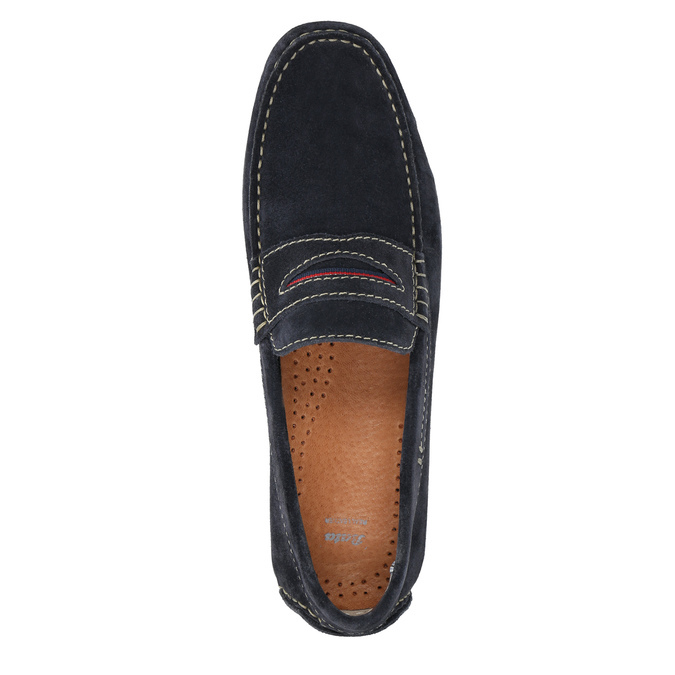 The sole has rubber burls and is slightly extended as far as the heel. 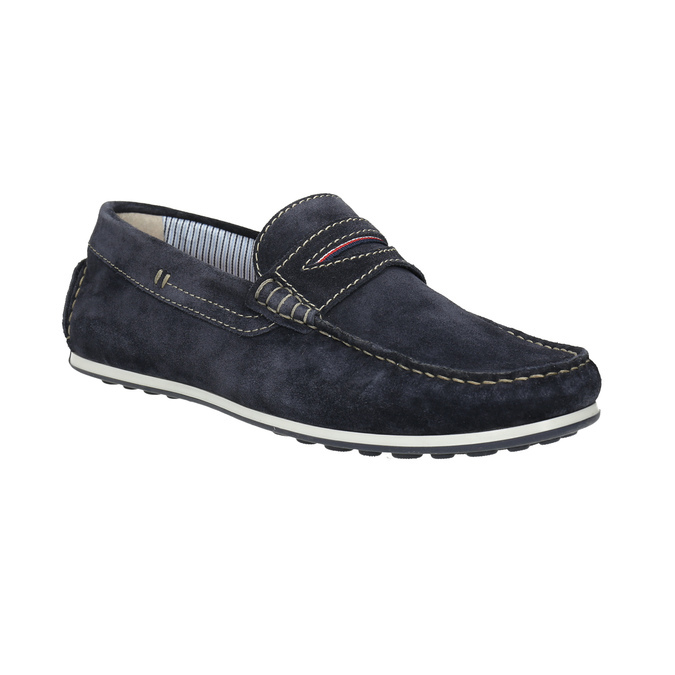 This style of footwear is known as Driving Shoes and is worn without socks or with very low socks that can’t be seen. There is a leather insole inside.